Now everyone can hang holiday stockings by the chimney with care thanks to the slew of new, stylish fireplaces that warm home and hearth. Historically, having a fireplace meant owning a home, downing trees or shoveling coal into an open hearth. Today, fireplaces can be found in a variety of non-traditional living spaces and styles ranging from ethanol fired, wall mounted and even virtual. The fireplace featured above is a lovely representation of an expanded built-in wall hearth. What makes this look so updated is the hearth’s sprawling width, radiant warmth and marquetry on the wood paneled walls. Stones rather than wood are used to cleverly generate heat. Who doesn’t want their own personal fireplace? 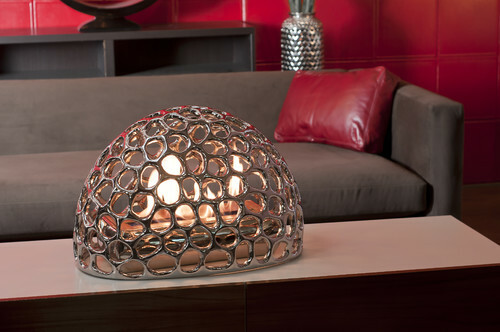 This mini “fire pit” measures 11″x6″x15″ and is meant to be placed anywhere that light and heat is desired. 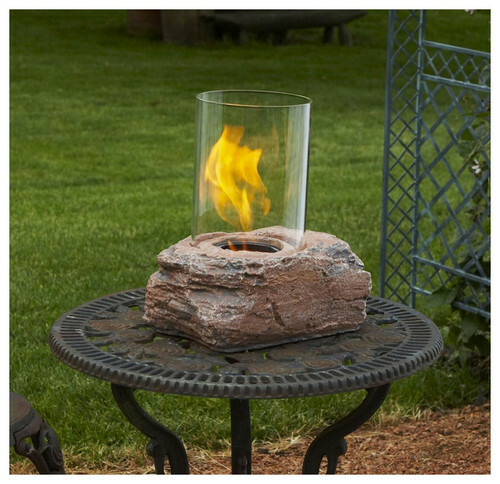 This unique fire feature adds a rustic look to both indoor and outdoor decors. 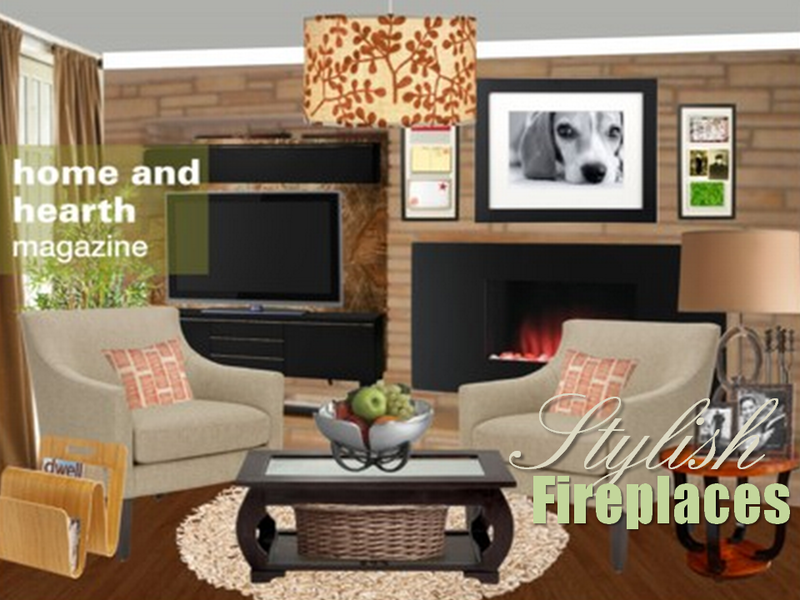 Modern and simplistic fireplace styles draw hearth lovers like moths to a flame. This ventless, ethnaol-fueled fireplace by Brasa Fire of New Orleans is actually comprised of two pieces; the “Avani” fireplace base that fits together with the “Shadow Screen”. Both clean burning and unique, this mobile piece is made of high-temperature ceramic and looks great atop a multitude of surfaces. Replace wooden logs with this endless flame by placing it inside of an existing masonry hearth. Replace that flat screen television with a wall mounted fireplace. This electric, modern marvel takes up little or no area other than wall space. 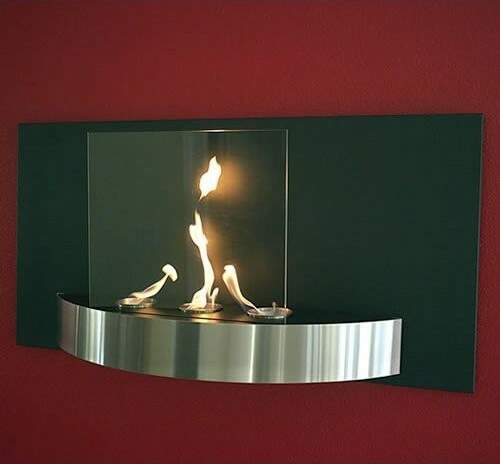 It is ventless, uses bio-ethanol burning fuel and features tempered clear and black glass with brushed stainless steel accents. Family gatherings around the fireplace needn’t be limited to having a sprawling mansion on the hill. 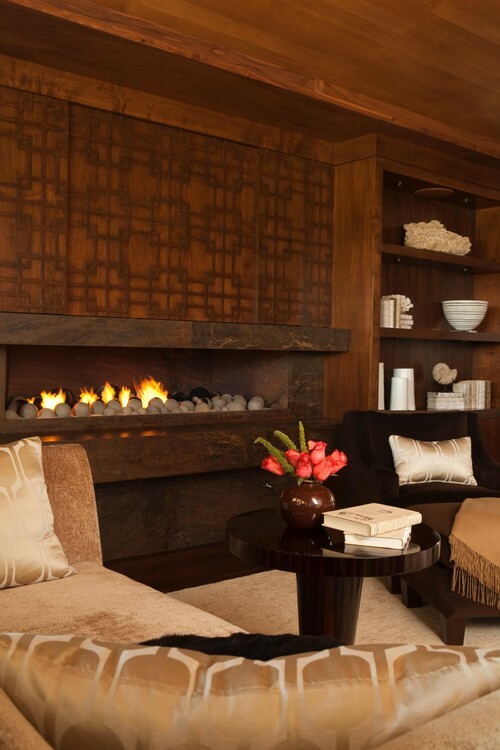 Adding a stylish, mobile fireplace to an intimate abode is bound to warm any home and hearth.